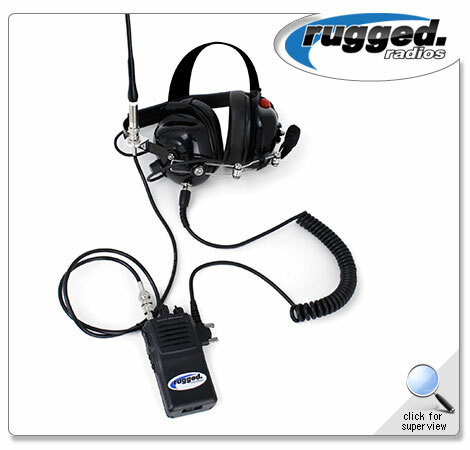 The Crew Chief XL package combines Rugged Radios behind the head headset with a VX230 2-way UHF radio and coiled headset cable. The built in PTT (Push-to-talk) button on the headset ear dome makes transmission easy and reliable. With the external antenna attached to the headset your range and clarity will be noticed by the driver and other crew members. This crew kit provides clear and powerful communications to connect the crew chief and driver. BNC adapter for Vertex handheld radio.